I haven’t written much about the olives in past posts, but following the comments about the post for Wordless Wednesday I thought I would explain the process. 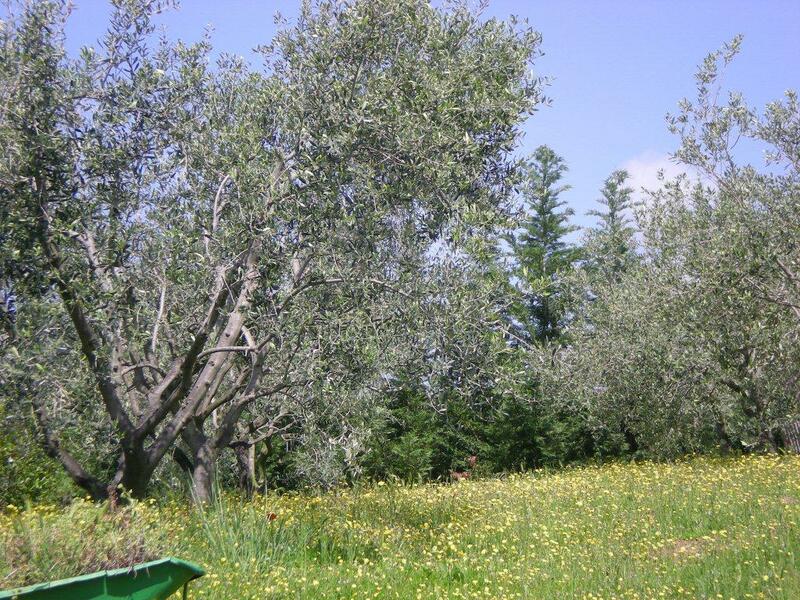 We don’t have many trees (or plants as they are called by country people), there are 15 trees that are about 19 years old (so very young in olive terms) and 2 that are about 7 years old and are very small. I don’t use any chemicals as I feel that rather defeats the object of producing our own oil. I also don’t feed them as the ground, being volcanic, is very fertile. We keep the grass and wild flowers cut most of the time and there is no irrigation to the olives so that they are without water for 3 or 4 months every summer. Olive flowers are very small and appear in May I think, although I don’t usually notice the flowers until I start sneezing as I am slightly allergic to their pollen – this doesn’t cause me any problems as they aren’t in flower for very long. During summer the olives form the backdrop to the garden and in winter their silvery green foliage remains a bright spot in the garden. 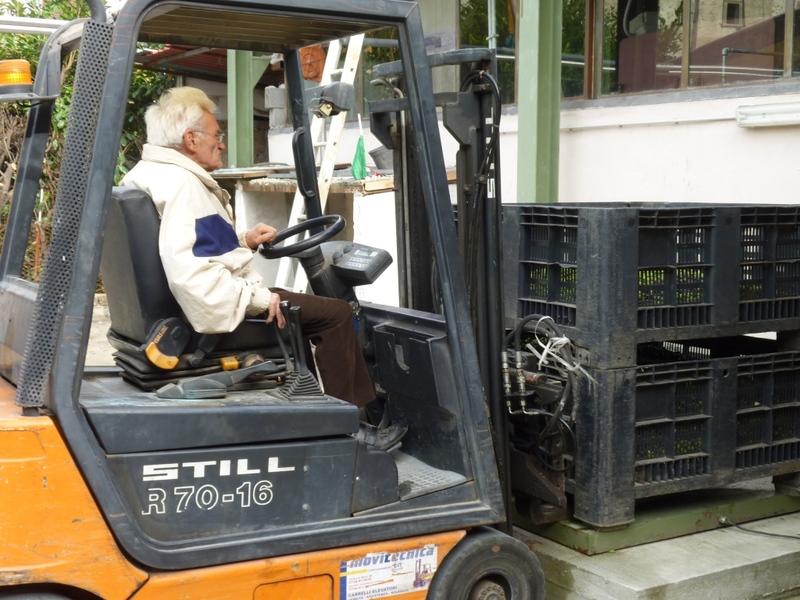 This year we harvested 3 quintale (300kg). The olives are picked by hand or rather with a small plastic rake that resembles the rakes children use on the beach. 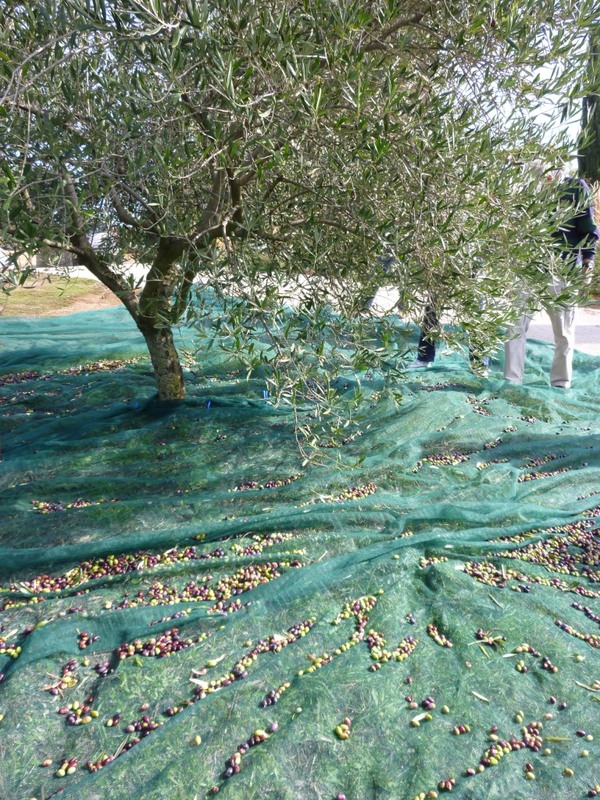 We spread large nets around the trees and pull the olives from the branches, they make a very satisfying sound as they are freed from the tree and drop onto the nets – you have to be very careful not to stamp on the olives you’ve already picked as damaged olives don’t taste as good. We keep our olives pruned so that they don’t grow tall and they can be picked easily from the ground; using ladders is precarious and slows the picking process down enormously. 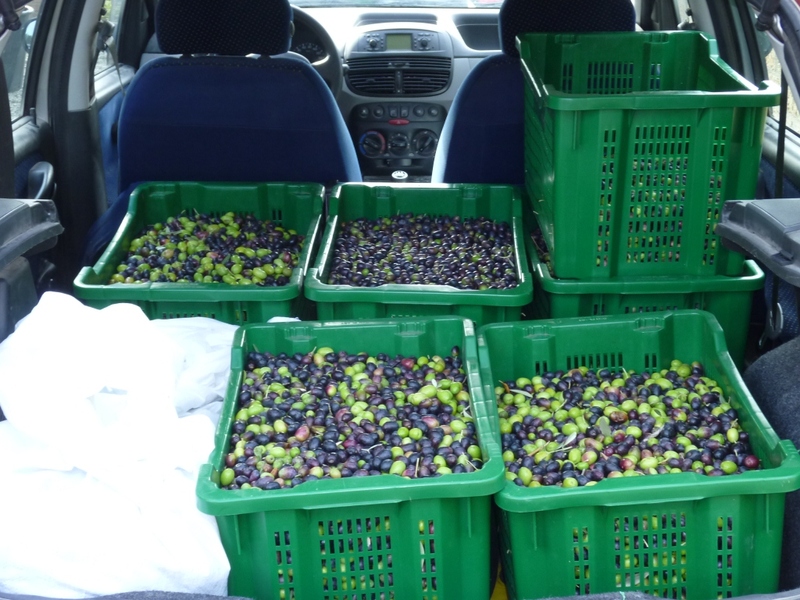 This year we picked most of the trees on Friday with the help of a group of volunteer students who did a fantastic job, we did the rest on Saturday and Sunday and then loaded the trays and sacks of olives into the cars and drove to the mill. 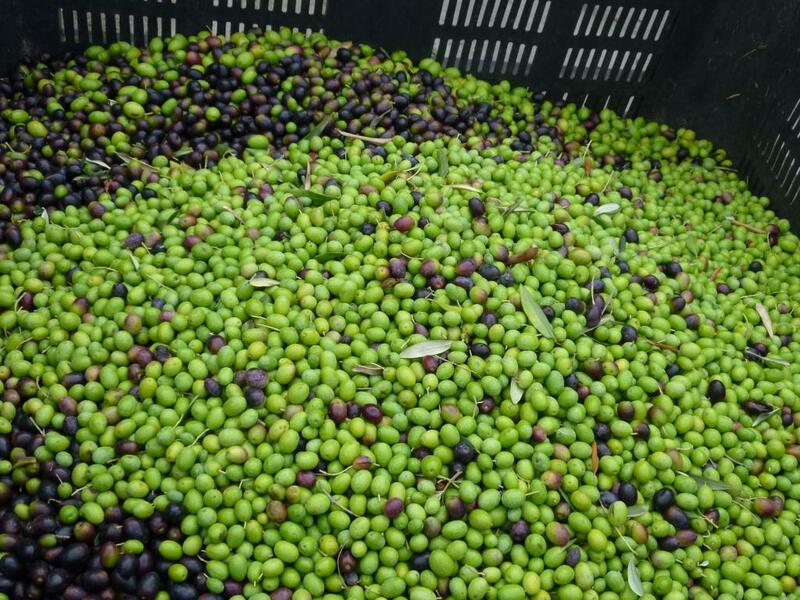 As we don’t have a huge harvest and we want the best possible quality of oil we take the olives to be pressed at a traditional mill that cold presses and uses traditional mill stones to squash the olives. 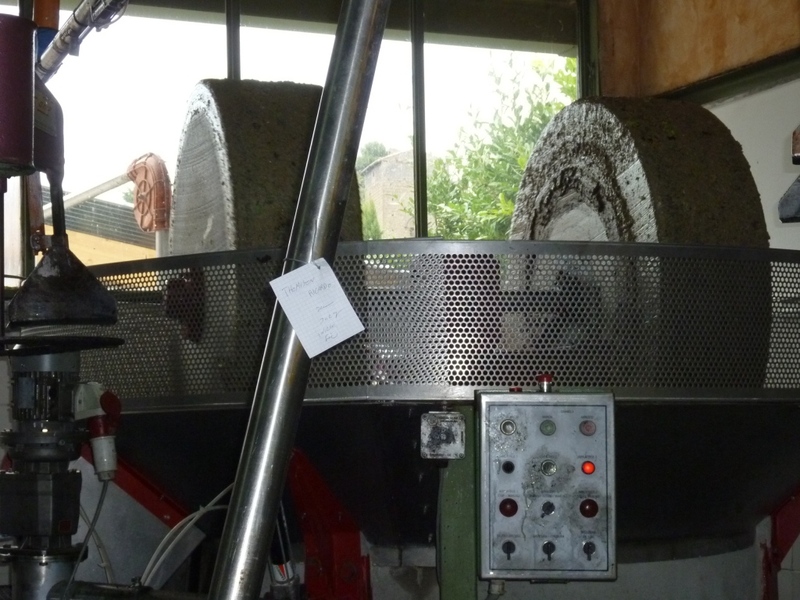 Larger mills will only press a large weight of olives separately and obviously as ours are chemical free and therefore organic we don’t want them mixed with other peoples olives – one becomes very obsessive about these things! 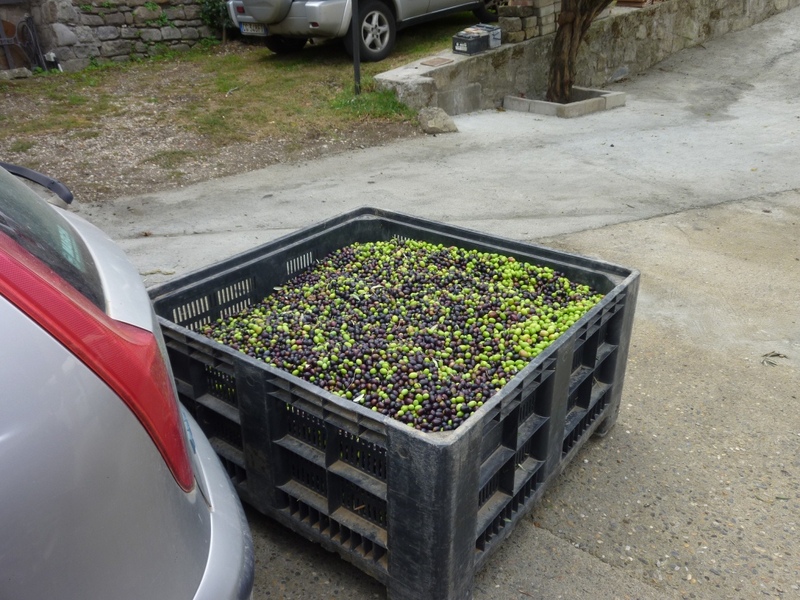 On arrival at the mill the olives are all put in large crates (plural means there are quite a lot for us) and weighted, you are then given a receipt for your olives and a time when they are likely to be pressed so that you can go to watch (read check that you aren’t being cheated!) 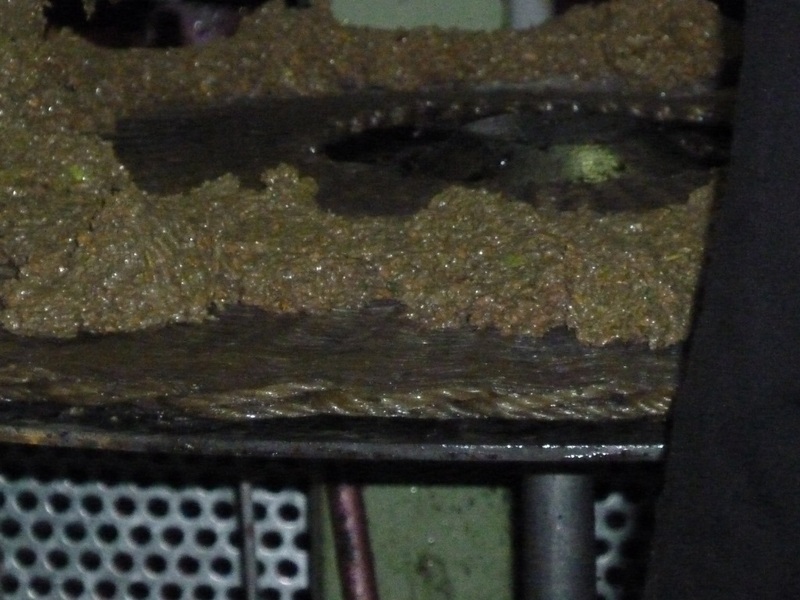 your olives being pressed. 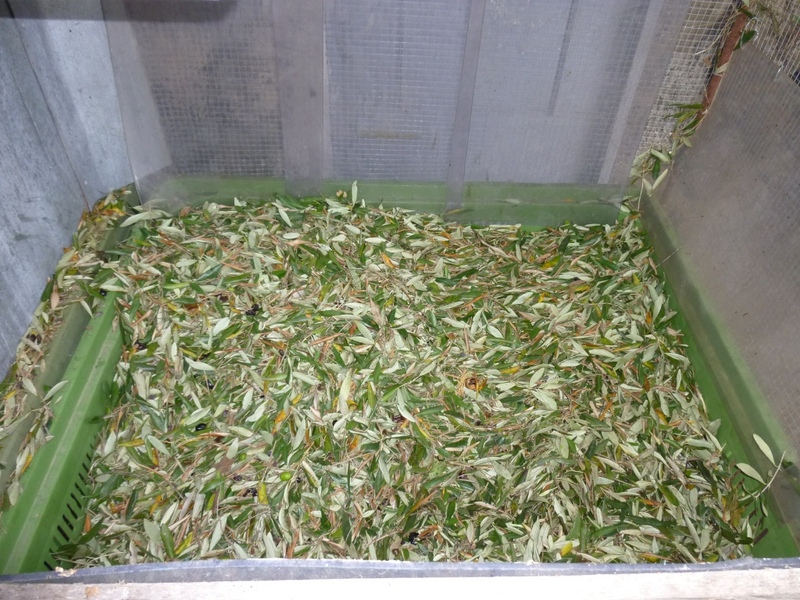 The process begins with the olives being taken up a conveyer belt and air blown across to remove any leaves and small twigs, we try to remove as many as possible when we’re putting them into trays but there are always some we miss. 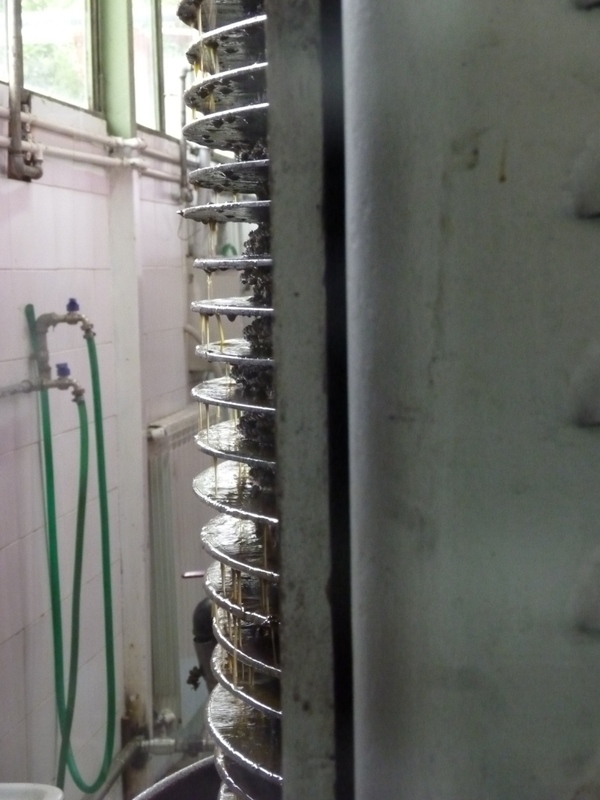 They then go into the giant container with two huge mill stones and are squashed to make a paste that is then spread onto mats. 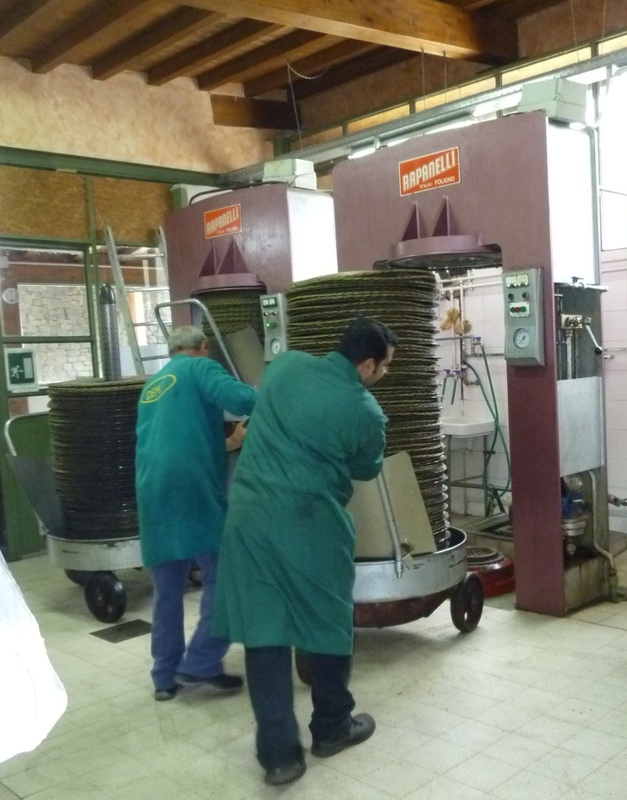 The mats are piled on top of each other and these are then pressed, no heat is used, to release the wonderful green oil. 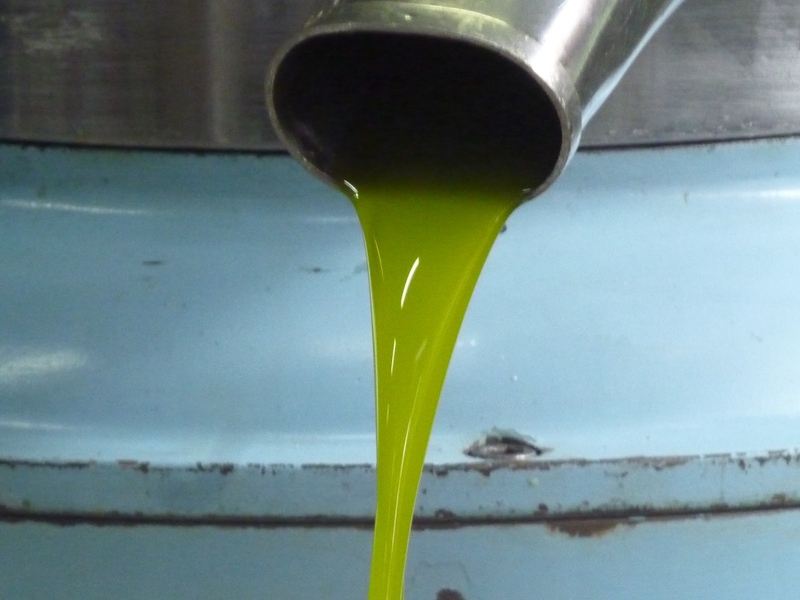 Your oil is then poured into a large white tub and finally weighed again. Can you believe the colour? 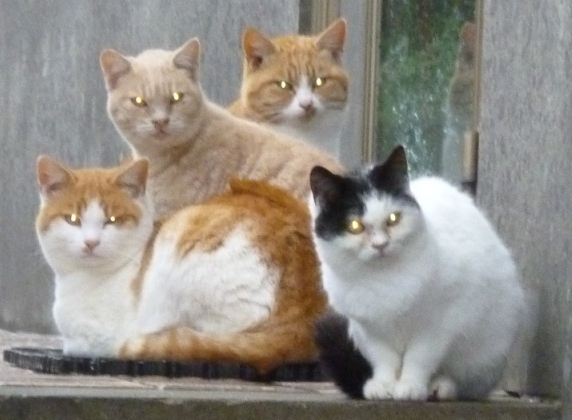 This year we got 39 kg, which is about 48 litres; we are ver, very happy. On arrival home the oil is put in stainless steel containers and I have a great sense of wellbeing knowing that I have delicious oil to use for the year. 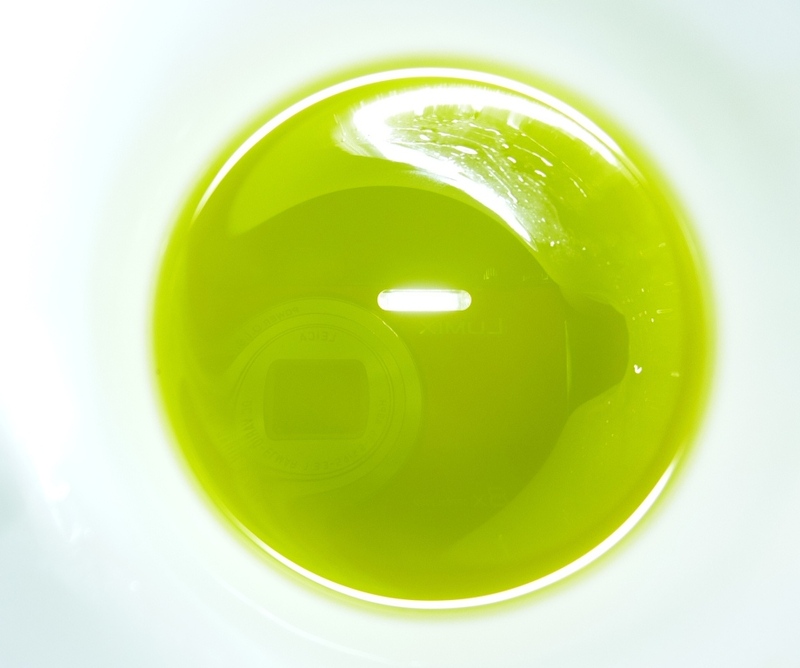 For the first few weeks the oil is amazingly peppery – it tastes like a complete salad dressing without adding anything. We eat bruschetta, beans (this year our own Barlotti beans) and soups all with the addition of a generous drizzle of oil. The colour is unbelievable! I wish I could share the taste with you. 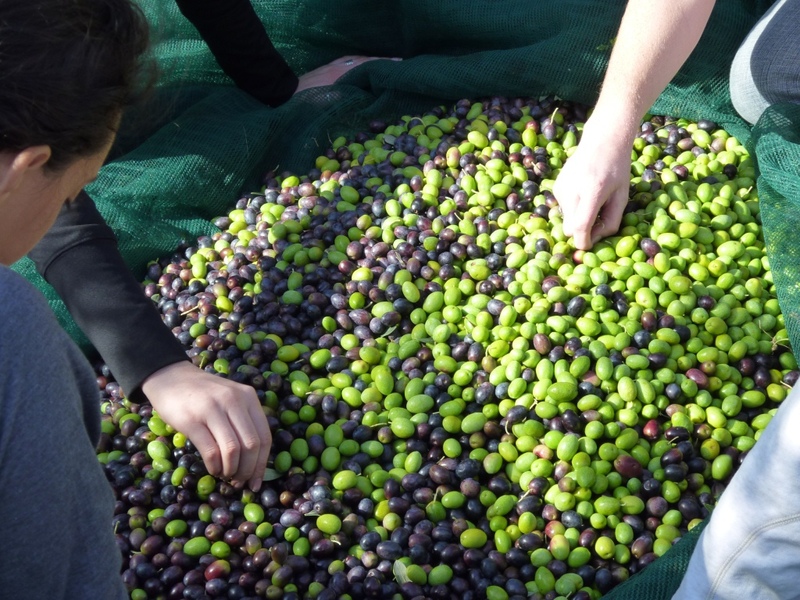 Wordless Wednesday – Happiness is the olives harvested! Welcome to the second GBFD! I’m hoping to see some wonderful autumn colour from some posts; here in Italy, although we’ve had some rain and coldish winds for a week, the garden, in many ways, looks more like Spring than autumn. 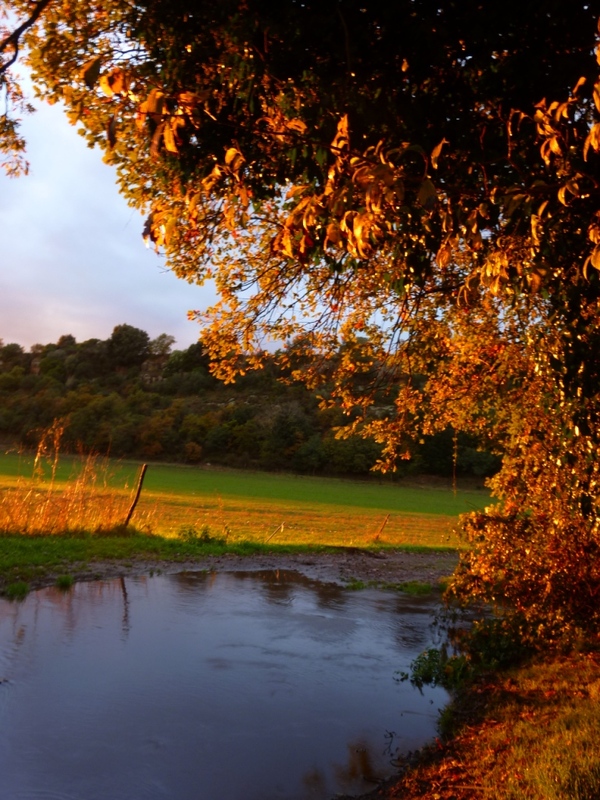 Our autumn colour usually begins mid-November and is often very short-lived. So I’m depending on you to share the colour around you with me. I’d also like to thank everyone who joined in or left comments last month; there were some fascinating posts all with great images, this month should be even better with autumn (fall) beginning to give some beautiful colours in the northern hemisphere and spring just commencing in the southern hemisphere. I have the feeling that the garden thinks it’s spring; is not just the number of plants blooming, and I have to say that there are now more than there were a week ago for GBBD; no, it is more the new foliage on everything from the red new foliage of the roses, to the fresh bright green of the Arbutus, to the peachy hues of Nandino. 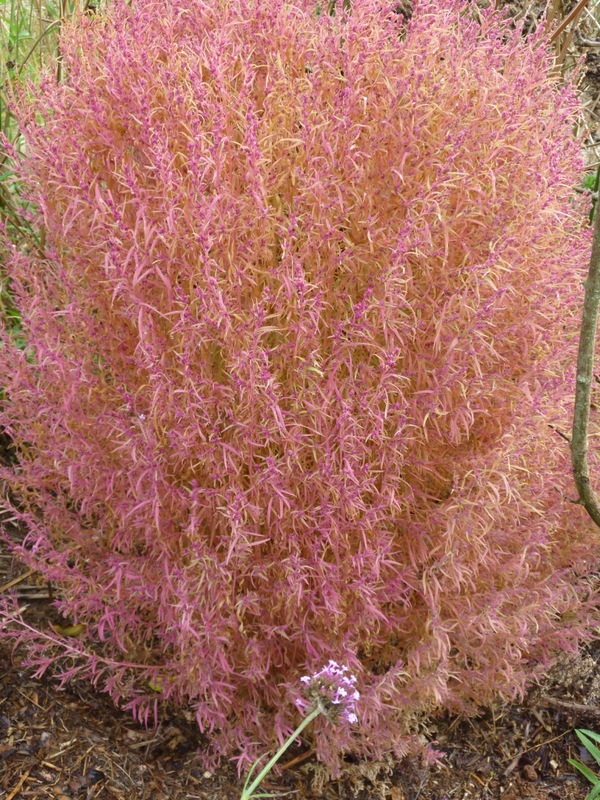 Having said that there are a lot of flowers in the garden, it is the foliage that is predominant. 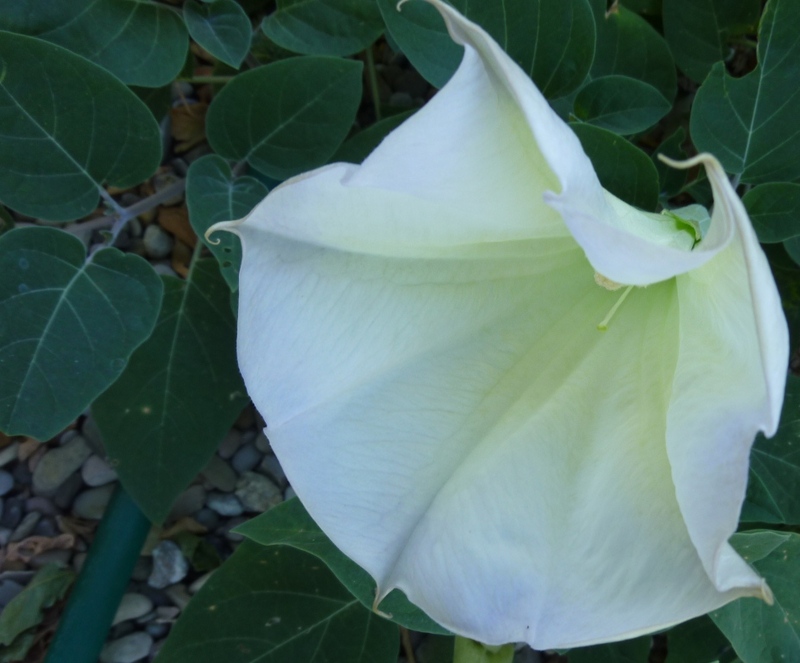 Maybe the blooms are smaller now or fewer per plant but whatever it is, the foliage sings out. 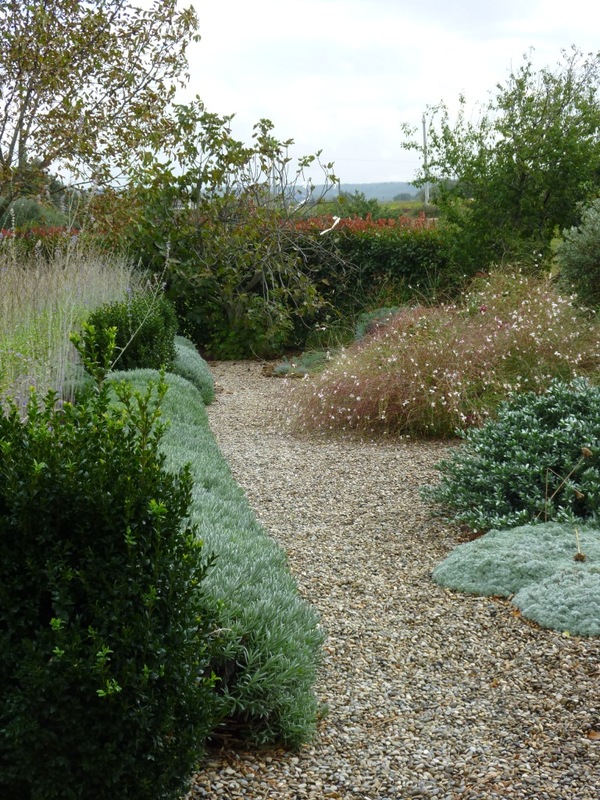 Looking from the drive across the upper drive bed to the large island the variety of different greens and not only greens of the leaves is like a tapestry or an embroidery blending together to give the garden a harmonious feeling. I never remember the name of this self seeding annual gem. I was given a specimen of the above plant last year, during summer it is a bright vibrant green; it needs little water even though it looks as if it would be very thirsty. In autumn the leaves turn first pink, then crimson, the flowers are the same colour as the foliage so maybe I’m cheating including this in a foliage post, but it looks much more like foliage than flowers so I’m including it. I will try to check on the name and add it when I can. I bought Albizia ‘Chocolate in September 2009; it only just survived the cold winter last year and until the last couple of months has hardly grown at all. Suddenly it has begun to put on some healthy looking growth so I’m crossing everything hoping that at last it has its roots down and will grow into a small shrub and to take its part in the silver and purple combination I’m trying to achieve in the large island bed – all with plants that need no irrigation! 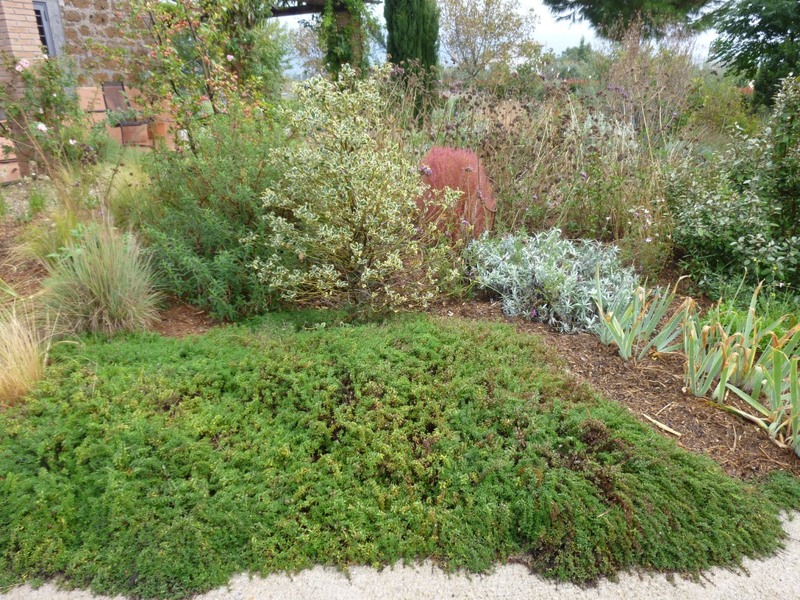 Most of the lavender has put on lots of new grow after being heavily pruned in early August. It does sometimes grow back from old wood. The colour and form is just right as we go into autumn and winter. 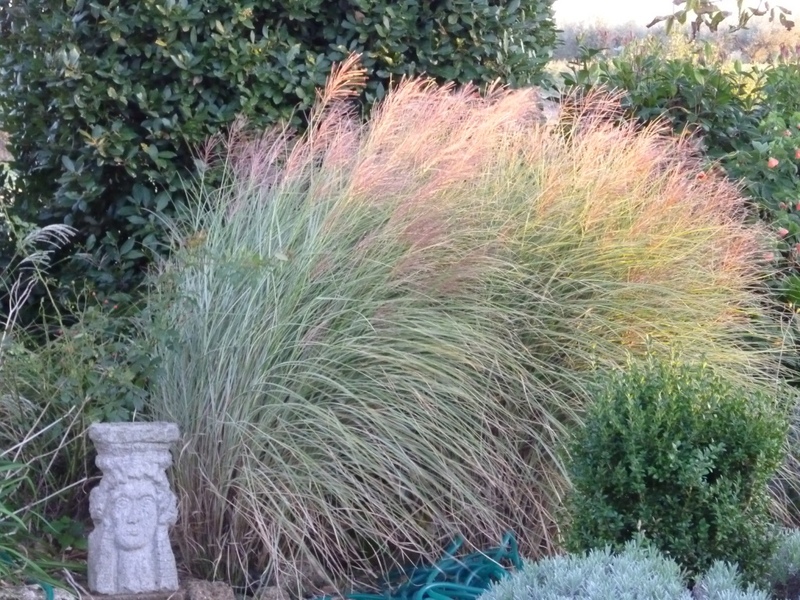 All the grasses are looking at their best, but I’m not going to include them here as it is their flowers, even if they don’t seem like flowers that are the attraction at the moment. You can see them in the background of many of the photographs. 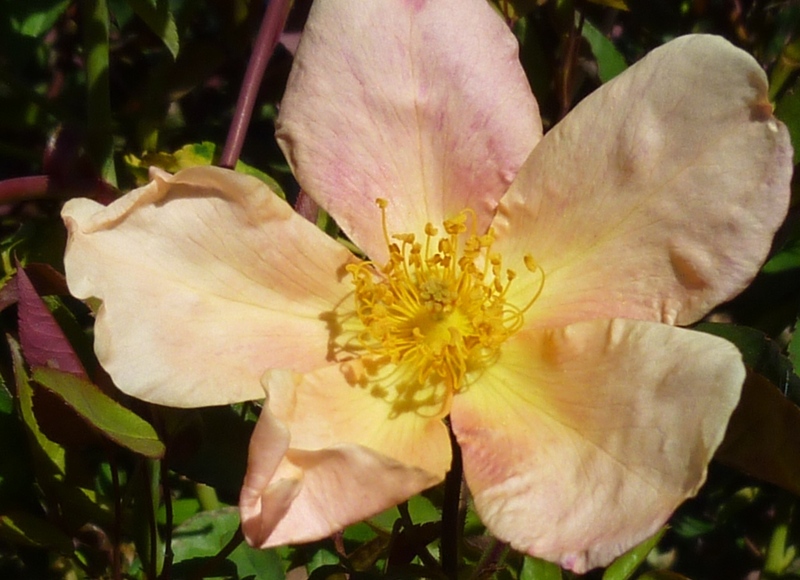 I have been surprised that Penisetum villosum continues to produce flowers into the autumn, there was a moment in mid-summer when I thought they were finishing. 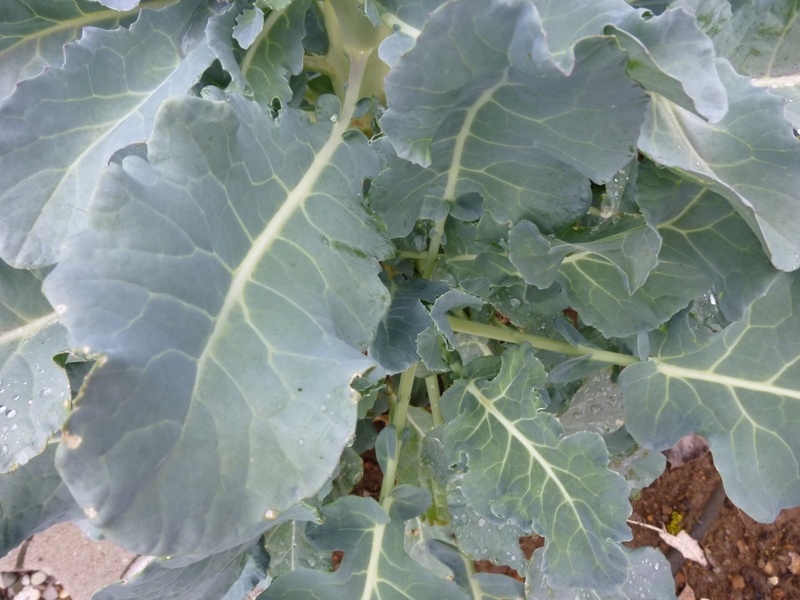 Doesn't broccoli have amazing blue foliage? When I was wandering around the garden I noticed that the leaves in the vegetable garden were putting on quite a show. 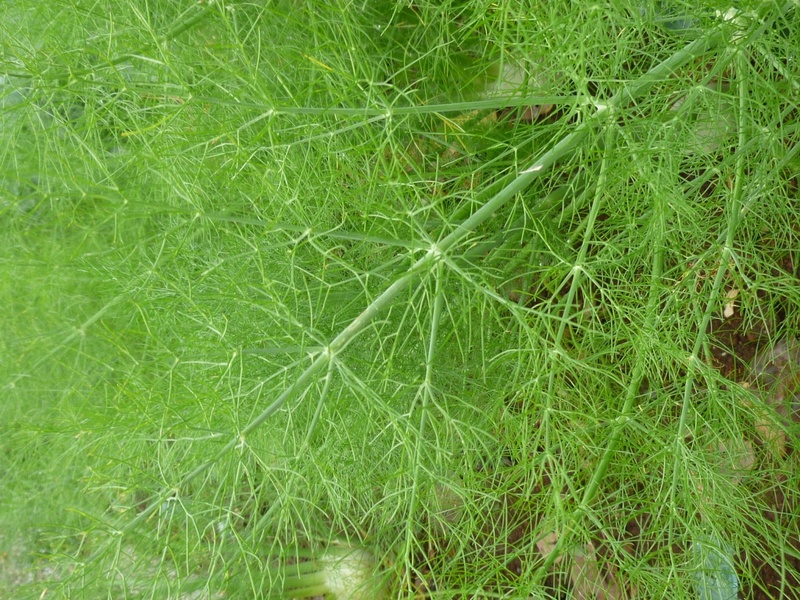 Bright green, feathery Florence fennel and the almost blue or jade colour of broccoli foliage help make the vegetable garden pretty as well as productive. 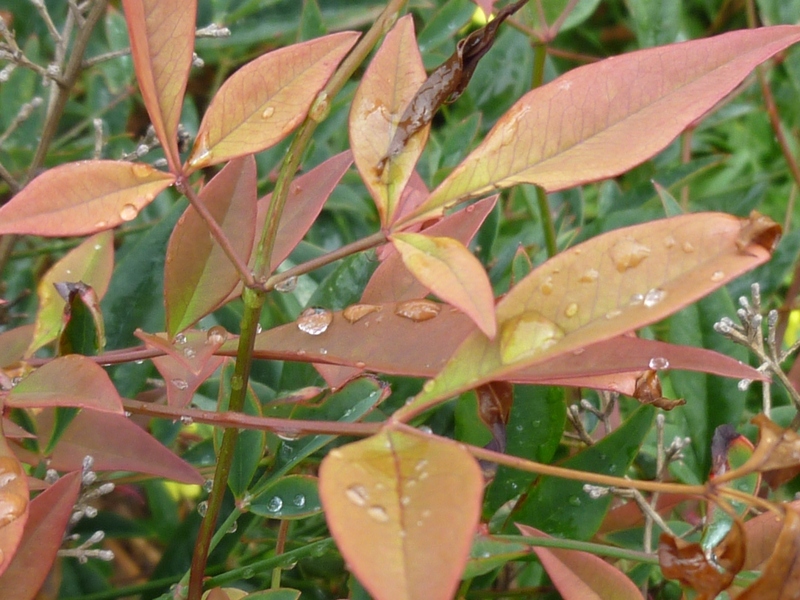 Click on the image below to see more foliage from My Hesperides Garden. 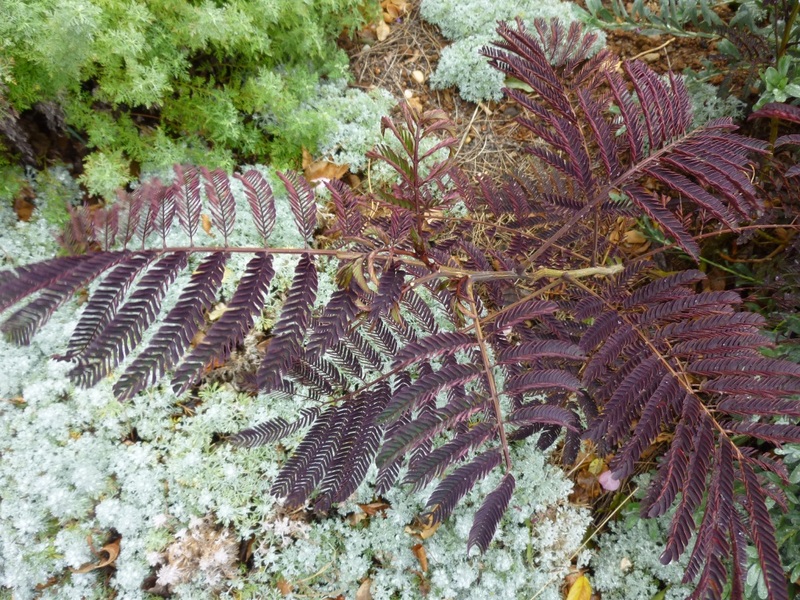 I hope you will join in with your own foliage, either just one stunning leaf or a review of how foliage works for you in your garden, please leave a comment and the link to your post. 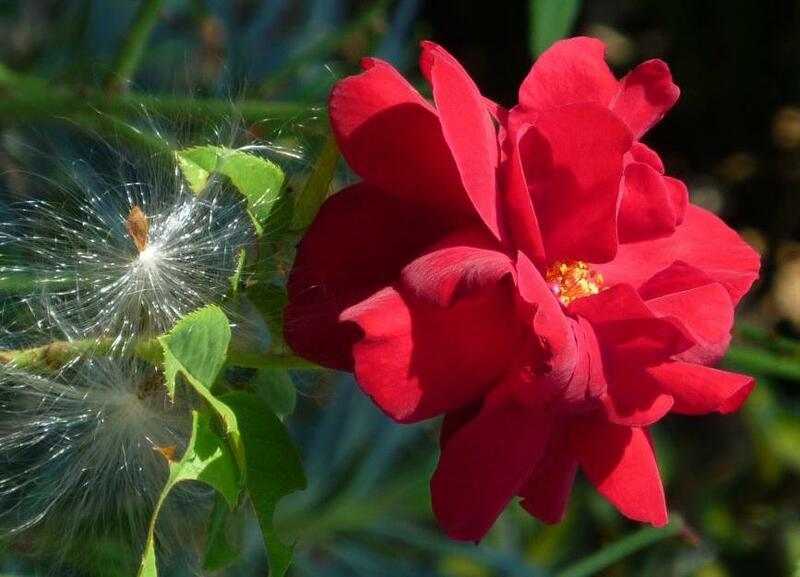 I am late with my account of what is flowering in my garden on the 15th October. We have had such strong winds for the last 5 days it has been almost impossible to take any photos at all. 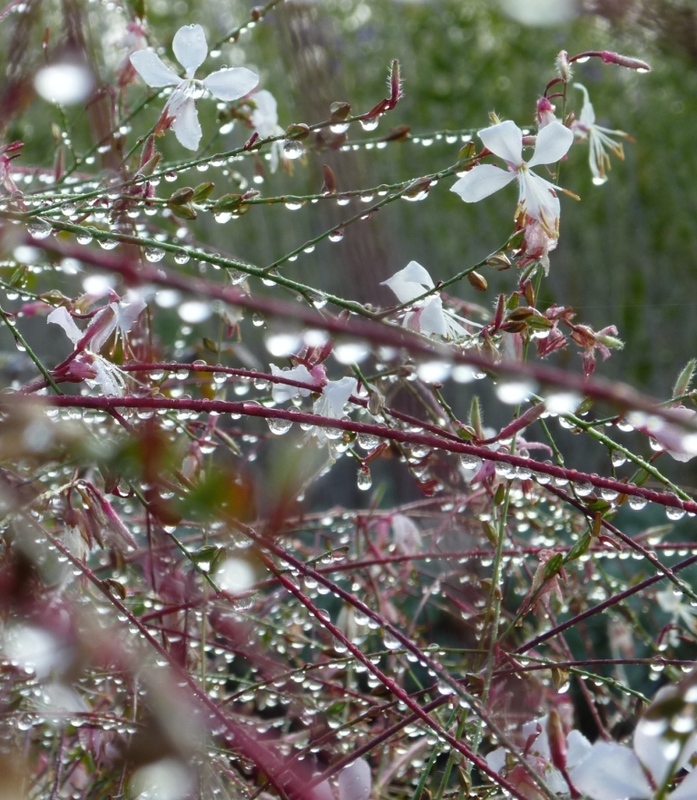 I waited until today hoping that the wind would drop and it has slightly but I’m afraid not all my blooms are here – many of the photos were just too out of focus to be shared. Thank you Carol at May Dreams garden for hosting this meme; visit her to see blooms from around the world. 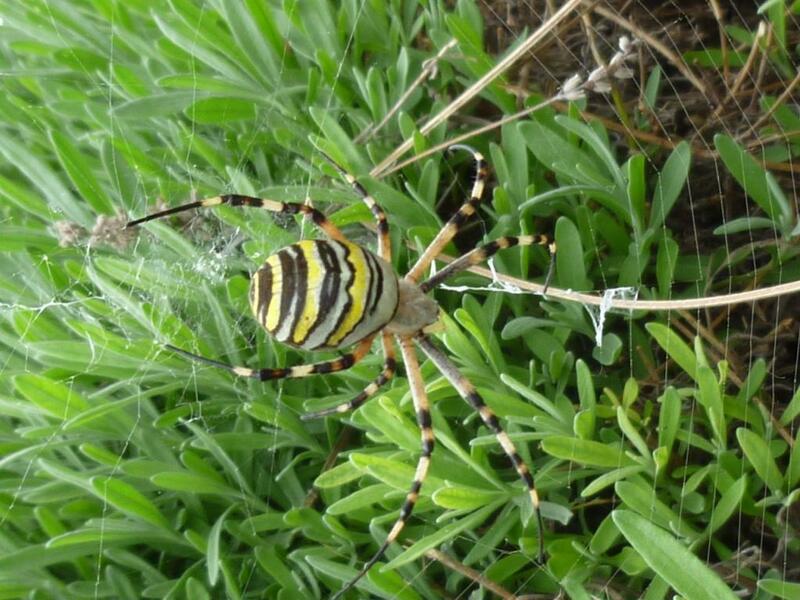 Since GBBD in September we have had some very strange weather here in Lazio. On the night of 18th September we had thunder and lightning, sheet and fork , that lasted for most of the night; there wasn’t any rain for hours of the storm but in a two hour period we did have 30 cm of rain fall; yes! That’s not a mistake a foot of water in 2 hours! And then it continued to rain so that in all we must have had 40cm in one night. It is said that London and Rome both have the same amount of rain in a year but in London it probably rains 280 days where as in Rome it all falls in less than 100 days. So that when it does rain – it literally floods down! In the lower part of the garden we have what was 2 thousand years ago an Etruscan tomb, converted and used as a stable for animals from who knows when until about 25 years ago – we use it as a store; it’s not very useful as it is so damp that wine bottles stored there lose their labels within a month – so we have had to find somewhere else to store our wine. There is a step down into the store so that when it rained and washed most of the topsoil from the surrounding fields over the lane that is the only access to our house, water and mud flooded into the store leaving the mud and showing the depth of water and mud to have reached 60cm – I am only grateful that the garden wasn’t flooded or indeed washed away. 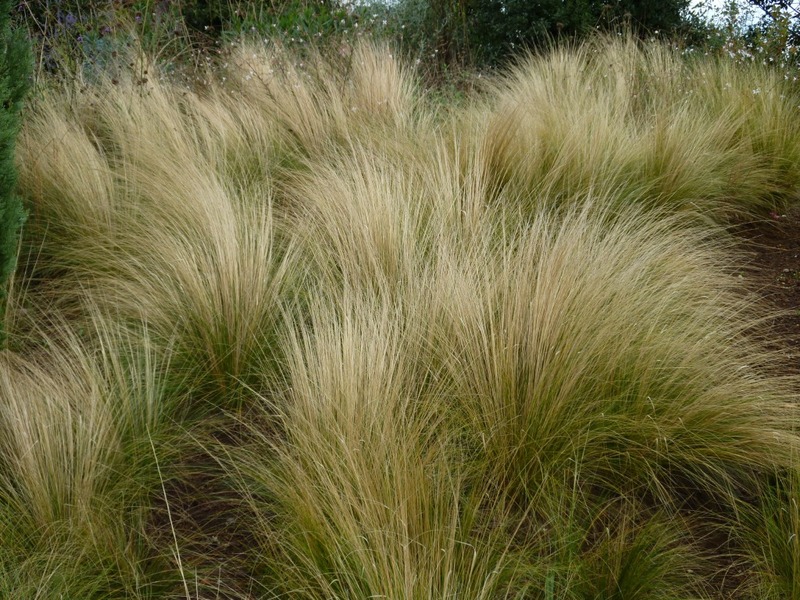 Even the soil on the steep slope that I have been featuring in ‘The end of month view’ was held in place by the planting of stipa tenuissima and other plants; proving that bare soil is always a bad idea that leads to erosion. Mud filled the ditch that takes our downpipe water had to be dug out; it also covered the area I’d been preparing to plant some trees, the weeds had been removed but the fields had just been reseeded with grass so now I have a beautiful crop of grass! The rain was followed by beautiful days with sunshine and temperatures returning to those that we expect in August. We have enjoyed some days at the beach; the hot weather continued until the beginning of this week when the wind turned and blew from the north bringing cold air, so much so that the bed has gone from having just a linen sheet to a nice warm duvet which has been snuggled under in a 10 day period. I’d be interested to know what you think the first flower is in the slideshow – I sprinkled several, very old packs of seeds by the side of the drive, I think this is from these but I don’t regognise what it is. The rain combined with the hot sun means that most of the plants blooming in September are still blooming now with the addition of Asters which hadn’t really started last month. If you click on the image below you can see some of what is blooming in My Hesperides Garden this mid October. 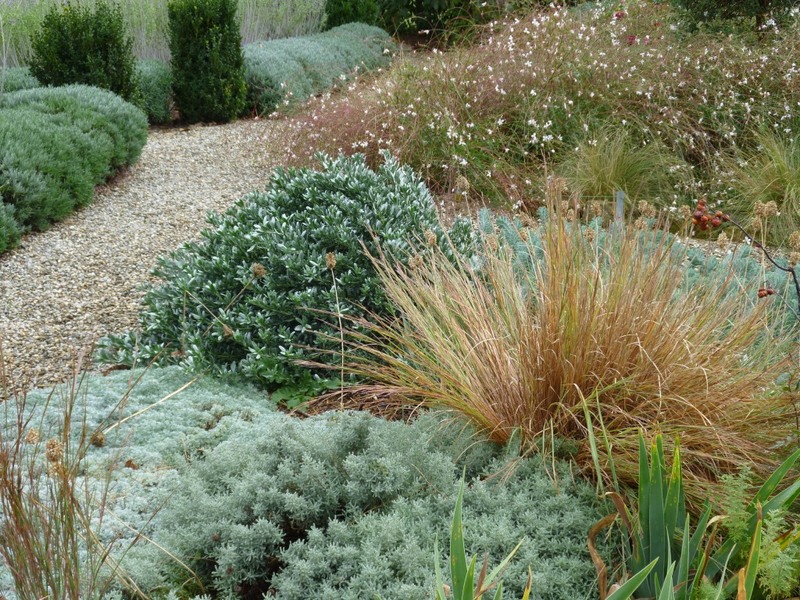 Don’t forget to join in GBFD (Garden Bloggers Foliage day) next Saturday the 22nd October. I hope you’ll have some lovely autumn colour to share or of course, maybe it is spring where you are in which case you can cheer us northern hemisphere gardeners with images of the promise of spring! Where ever you are I look forward to seeing how you use foliage in your garden. Repose, garden walk garden talk has found some great images to represent this word. Sadly today I’m very short of time but I wanted to join in so here are a couple of images, you may have to work out why they mean repose to me yourself! Autumn a time for nature to repose but not for gardeners.